It's true: You don't have to blow your budget to find a beautiful wedding dress. Sure, we'd all love to splurge on a custom-made Vera Wang or Monique Lhuillier if we could, but it'd be hard to justify such an expense for a dress you're bound to wear just once. If you've already begun shopping for wedding dresses, you've likely noticed how the price tags on most gowns approach the four-digit territory all too easily. 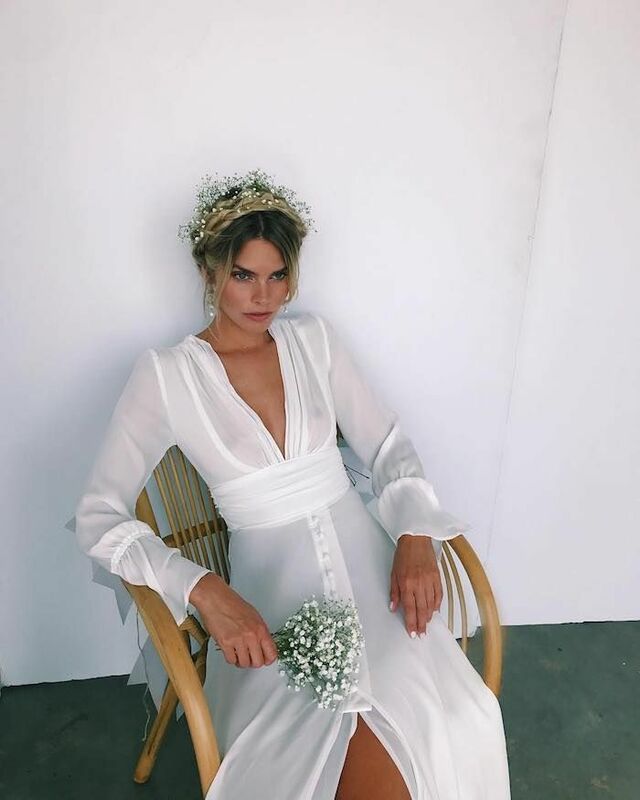 Just when it seems fated that you'll spend a fortune on your wedding dress, we're proving that you don't have to put down upward of $1000 to find a dress that makes you feel 100%. With that in mind, we scoured the internet for the best affordable wedding gowns that we're so excited about (and know you will be too). With a little extra money in your bank account, feel free to book that amazing honeymoon you've had your eye on, or put a deposit down for your dream wedding venue. Keep reading to shop our picks for affordable wedding dresses. Reformation can do no wrong in our minds. Minimalist brides everywhere are going crazy over this perfectly pared-back design. Available in sizes 36 FR to 42 FR. Brides with free-spirited style will fall in love with this romantic dress. For the lace lovers out there. The lacework here is to die for. Its high neck and lace sleeves give this dress a timeless quality. The wedding-appropriate version of a slip dress. All the fun of a two-piece set. Bohemian brides will fall in love with this dress. There's more to this dress than meets the eye (just wait until you see the back). A perfect mix of materials. This shop has so many beautiful options. Inspired by a vintage 1920s-era design. Ruffled sleeves are so elegant. The floral embroidery on this gown is just stunning. Click through to really take in the stunning open back of this classy dress. Available in sizes 6 to 18. A column dress will never be out of style. Complement the pretty embellishments with glamorous earrings to match.